Remembrance Day. Image credit: Jeff Wallace (https://www.flickr.com/photos/wherezjeff/). Used under Creative Commons License. I’ve always loved the poignant moment when the 11th hour of the 11th day of the 11th occurs, marking the beginning of the end of the First World War. We become still to remember those who have served our country in war and peace, unharnessed of all the busy-ness of modern life, alone with our thoughts and remembrances. 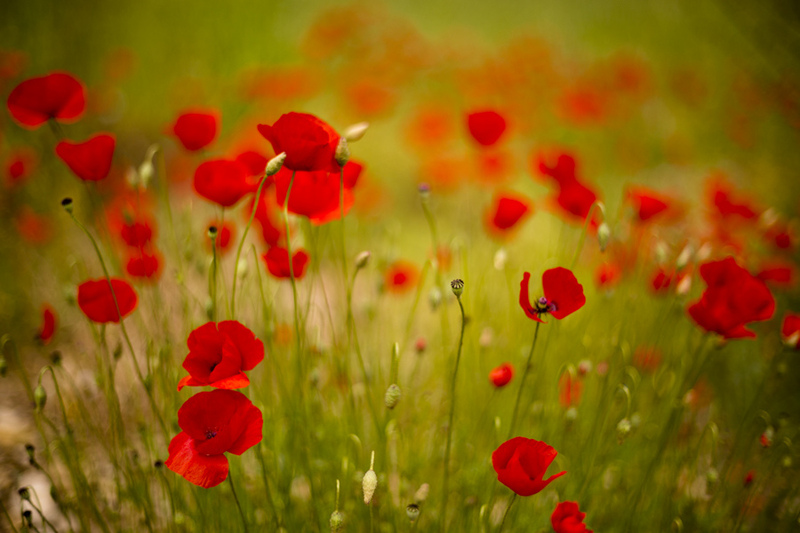 It is a quiet moment of reflection, gratitude and respect for all those who have served us in war and in peace. Conversely, sound can evoke many emotions. I, for one, always choke up when the Last Post is played at Remembrance Day ceremonies. Voices of the past take us back in time too. This year, the Grace Schmidt Room is honoured to have worked with Joe Pavia of 570 News on a Remembrance Day project to help bring the voices of “Women in War” to life. Using the oral history tapes of military personnel and war subjects in our collection, Joe has produced a series of audio clips being aired up to and including Remembrance Day. Be sure to be tuned to 570 News to hear the voices of Margaret Schreiter, Ann Schreiber, Dr. Deborah Glaister-Hannay, Darlene McClennan, and Catherine Wilkes Thomson as they talk about their war experiences. As the links go live, I’ll update them in this post. Joe’s feature will air every 30 minutes on Remembrance Day. Joe, by the way, is our oral history volunteer in the GSR, and is helping us to digitize the cassette collection. It’s been a real pleasure to work with him. In conjunction with Joe’s project, the Library has uploaded the full oral history tape interviews for the women noted above. The link to our oral history page is here. Each interview has two parts, about a hour’s length each. Please feel free to browse our Soldier Information Card collection indexes for both wars. You can view our online Soldier Information Card Collection for World War One here. 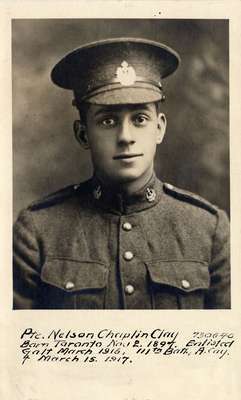 We welcome your comments, stories and information for our soldier card collection. I’ll be talking about the Soldier Information Card Project at the Grand River – Stanley Park branch on Wednesday evening at 7pm. Join me if you can. No registration is required and details can be found here. If you are in the Grace Schmidt Room, please stop by to see our exhibits – one honouring the 100th Anniversary of the founding of the Kitchener-Waterloo Branch of the Red Cross Society and their work in war and at home, and the other looking back at nursing sisters from World War One. Poppies by Giuseppe Moscato (www.flickr.com/photos/pinomoscato/) Image source: Flickr. Used under Creative Commons license. As November descends upon us, the season of remembrance begins. This year, it seems all the more poignant with the recent tragic deaths of Warrant Officer Patrice Vincent and Corporal Nathan Cirillo. Remembrance is truly a season of reflection, gratitude and thankfulness. This week, we’ll be remembering the gallant efforts of the Canadian military at the D-Day landing over 70 years ago. Please join us on Tuesday 4 November 2014 as Ted Barris brings to life the stories, photos and individuals of Canada’s military on that fateful day back in 1944. Ted’s lecture will be held in the Central Library Theatre starting at 7pm. No registration or ticket required. Information for the event can be found here. Remembrance Day is a quiet day of reflection, memory and gratitude for the many men and women who fought and defended our rights and freedoms in conflicts around the world. 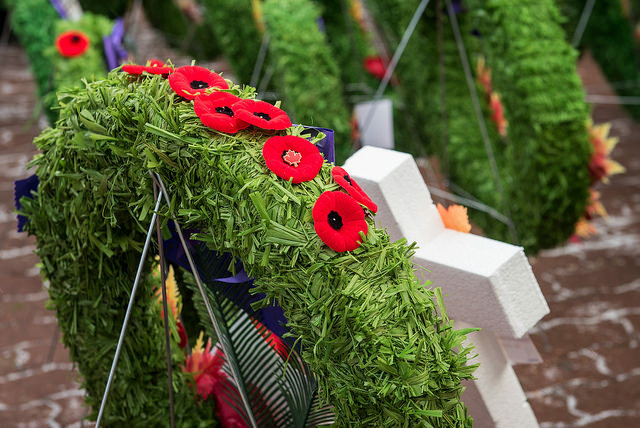 We will gather at cenotaphs, ceremonies, homes and workplaces to mark a moment of silence during which we will remember those who answered the call of duty to serve Canada. As Winston Churchill once said, “Never was so much owed by so many to so few”. 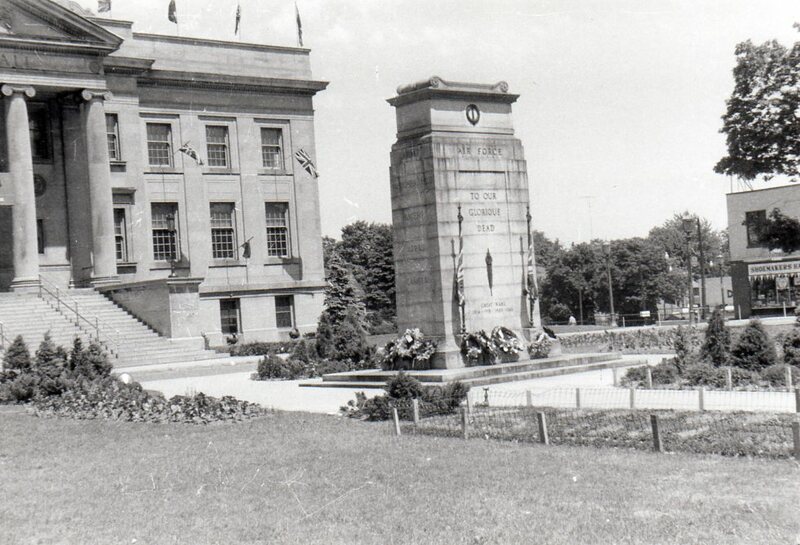 The Kitchener Cenotaph, pictured above, designed by Kitchener architect, William H.E. Schmalz, was dedicated on 24 May 1929. It originally sat on a small traffic island on Frederick Street, near King Street. It was later moved to City Hall in 1949 and then to the corner of Frederick and Duke Streets, where it sits today, with the development of Market Square. It rededicated by Queen Elizabeth during a royal visit in 1973. Today, I am remembering my great-uncle, James McPhee of Abbotsford, BC, who served in the Second World War as a Royal Air Force navigator, a war correspondent and later as a Canadian Armed Forces peacekeeper in the Suez. I will remember Captain Brinley Frederick Roberts Thomas, of Dinas Powys, Wales, husband of my grandfather’s cousin, who risked his life in both world wars to ensure that supplies, personnel and munitions reached Allied troops as a member of the British merchant marine. And, I will remember David Harding, my first cousin once removed, who served with the Canadian Armed Forces in Afghanistan and, thankfully, returned home safely. Who will you remember today?